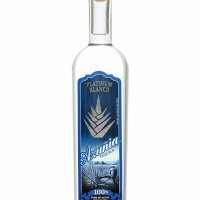 Latest Blanco, Oro, Reposado and Anejo Tequila: Not just for giving margaritas a kick! Blanco, oro, reposado and añejo: This stuff isn't just for giving margaritas their kick! Judging by Joe Horrigan's collection of tequila bottles - and not to mention his nickname, Tequila Joe - it's safe to say he's an expert on the Mexican liquor. The 28-year-old Davis native has an array of tequila bottles, a few that are empty ... and some that he doesn't dare open. Some are novelty containers, like the rifle- and handgun-shaped bottles. Some are conversation topics, telling stories of competition and suspicious business practices, or of the rise and fall of a tequila maker. Some are rare. Some were expensive. For one, he drove to Walnut Creek, after learning that it was available (and that he wouldn't be able to get it anywhere else). He stumbled upon another in a Los Angeles store. One was rarer than he realized, when he drank it at a barbecue. “I polished off this bottle, and I've been kicking myself ever since,” he said recently, while rattling off the history, art, style and technique of the tequilas in his collection. An easily drawn conclusion from his collection: Tequila isn't just for margaritas and cheap college drunkenness. Davis is host to a rising club, Tequila Joe's Tasting Aficionados. Horrigan created it six months ago, and today it has 82 members who are becoming more knowledgeable all the time. Horrigan's stance is that there's a lot more to tequila than most people realize, and he'd like that to change. He also wants to break the bad stigma of this liquor; teach people about its history, technique and variety; and expose them to its finer side. That concept wasn't new to Tasting Aficionado member Wes Morgan, when he began tasting tequilas after meeting Horrigan a year ago. His family has had vineyards in Napa and St. Helena since the 1800s, and he grew up knowing how to appreciate wine. Some of that carries over into tequila tasting, he said. But on the other hand, it's a different substance, and he must learn how to apply what he already knew to this type of alcohol. Morgan imagines that the pride he feels - when looking out over his family's vineyard - probably is like that of a kid somewhere in Mexico, who is part of generations of agave growers. Mexico has five states where distilleries can make tequila and call it by that name. Just as the drink's packaging and presentation are nearly infinitely varied, so too are its style and technique. Some tequilas are aged for months or years; others are not. As with wine, aromas, tastes, brands and features vary. Horrigan got into wine tasting a couple of years ago, before a friend bought him a book on tequila as a birthday gift. That ended Horrigan's wine hobby and converted him to a tequila connoisseur. He began collecting books - and bottles - and learning about tequila. He recruited friends and hosted a Cinco de Mayo tequila tasting in 2006; he created the Tasting Aficionados in December. Today, his life is wrapped up in the club: organizing tastings, recruiting sponsors and designing a glass, a T-shirt and other prizes that members can get for surpassing benchmarks in the number of tequilas tasted. Officially, the group is a nonprofit; some of the proceeds from tasting events go to charities. Horrigan hopes to continue this practice, as a means to help reverse tequila's bad reputation. Tastings have been held at Davis bars, including The Davis Graduate - the group's host bar - members' houses and out-of-town restaurants. In September, the group will spend a weekend at tequila festivals in Las Vegas and San Diego, then will take a trip to Mexico before returning to Davis after the three days of tastings. Horrigan has become an expert in tequila. Getting wrapped up in a hobby is, he admitted, a tendency with him. Before he began wine tasting, he was a frequent buyer of the Vera Wang home collection. The tequila enthusiasm has been his longest-running fixation, though. Horrigan spends countless hours researching tequila and creating a Web site for the club. He keeps track of members and the tequilas they have tasted, and pours much of his own money into hosting events and helping people learn to enjoy tequila. He is also an active member at TEQUILA.net, a Tequila aficionado web site, and has submitted over 75 Tequila reviews. Often, club member Emily Fry said, Jose Cuervo and Patron are all people know, when it comes to tequila. The social and educational aspects of the Tasting Aficionados appeal to members Fry and Adrian Blanco. Neither was interested in tequila upon joining the club. Indeed, Horrigan has had to do a fair amount of dragging people into the idea, persuading them to just trust him and give it a chance. “Joe totally changed my mind about tequila,” Fry said. She was talked into it despite her bad college experience with the liquor. Blanco thinks his background in the jewelry industry makes him appreciate tequila because, with the hard work and years it takes to grow and age the alcohol, “it's almost like gemstones. Morgan, too, had to allow some changes in his way of thinking early on. He had to let go of his pride in whiskeys and scotches, he explained, and accept the idea that tequila has character and diversity that he hadn't realized. He thinks people enjoy learning about good wines or tequilas - or other alcohols - because of a sense of accomplishment they feel upon achieving a certain level of experience. Good alcohol is used in the extremes of emotion, Morgan said: weddings, funerals and other emotional life events. It can make a bad situation easier, or a good situation more of a celebration. “Nothing else can really do that,” he said, “and the diversity of the product is really amazing.